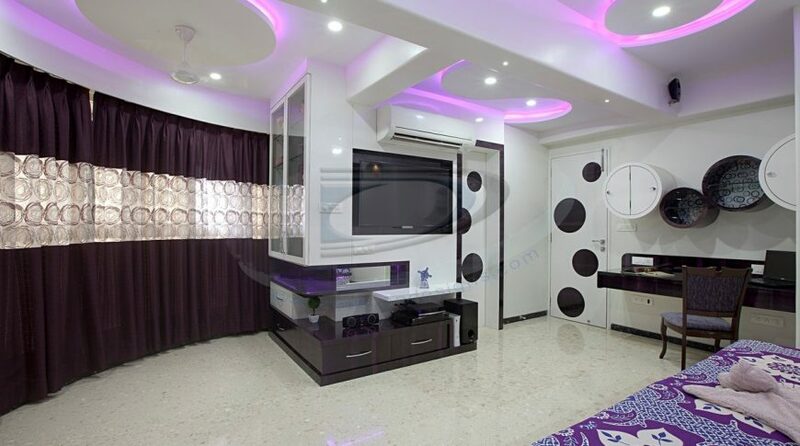 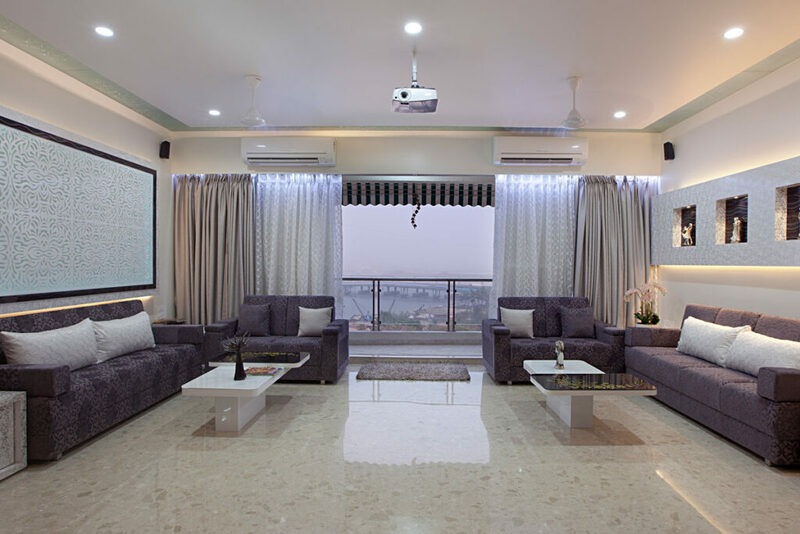 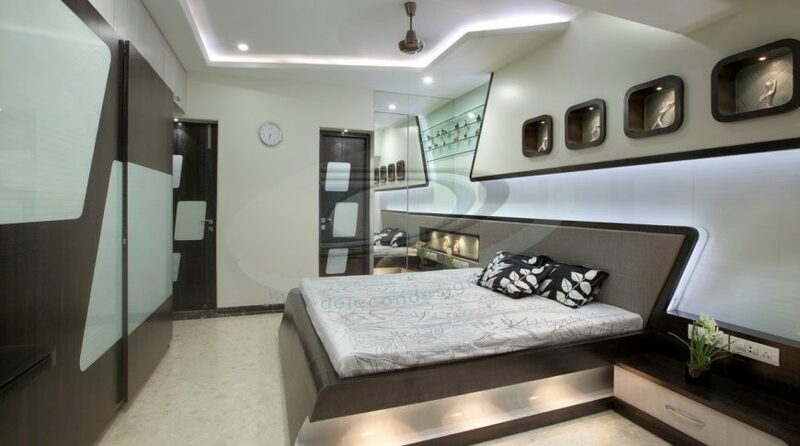 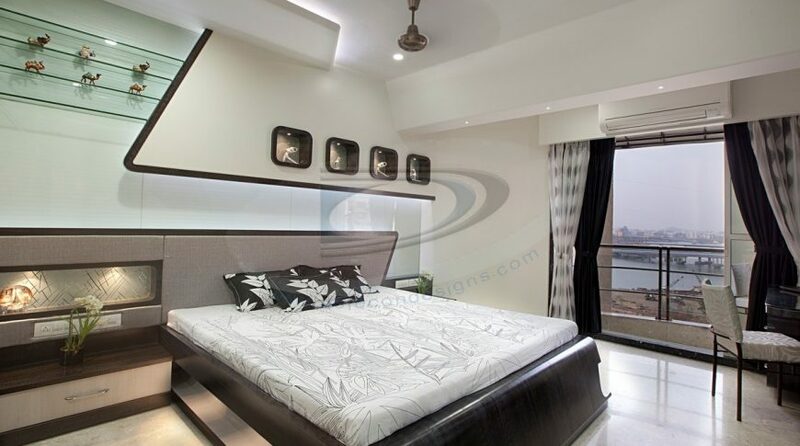 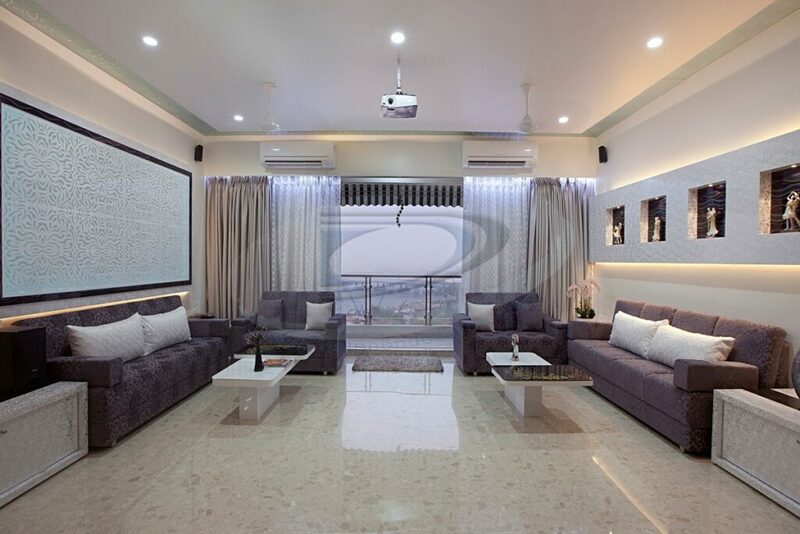 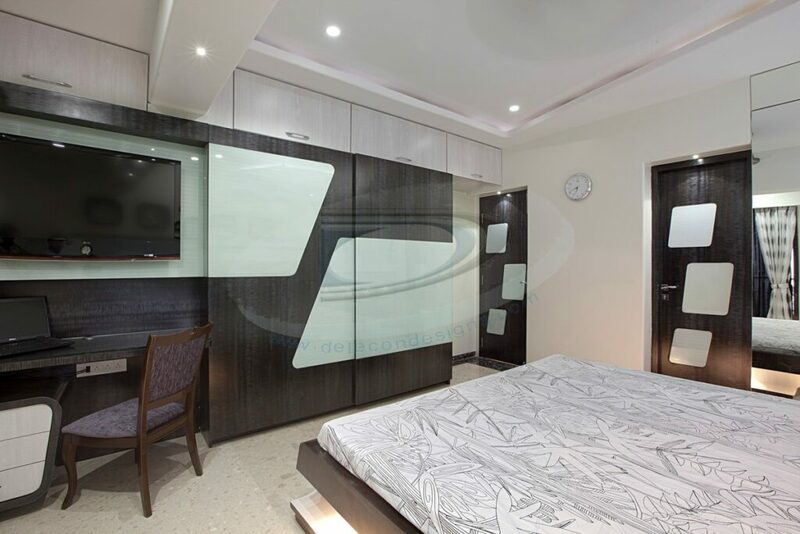 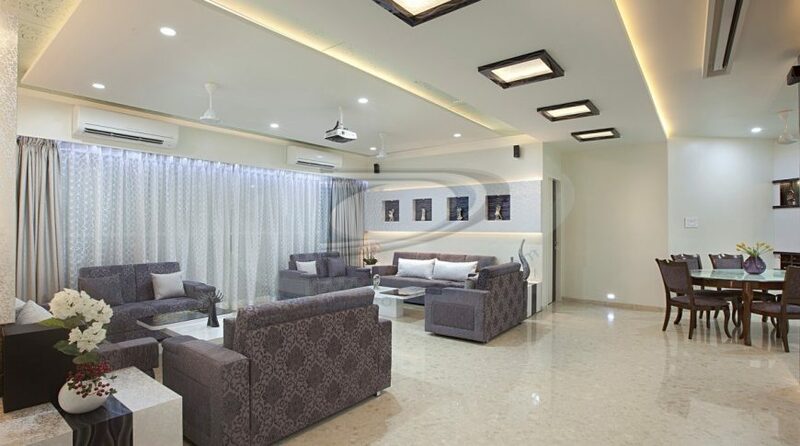 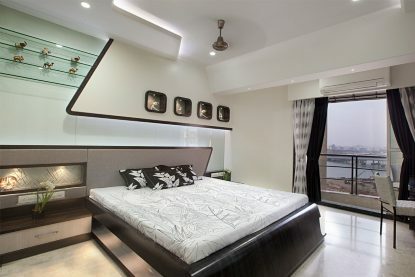 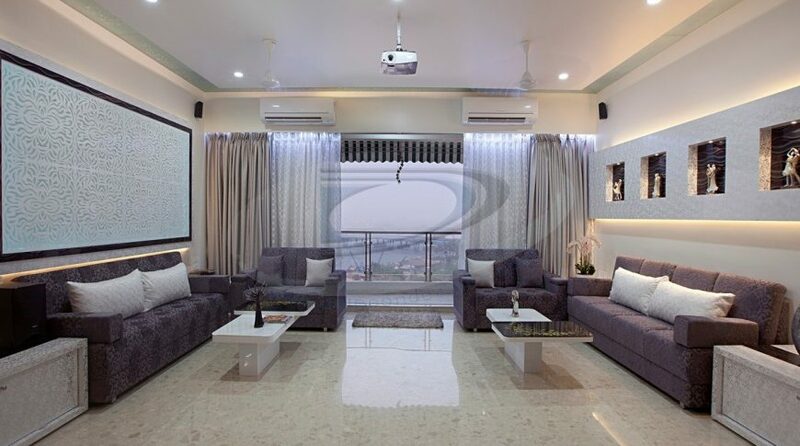 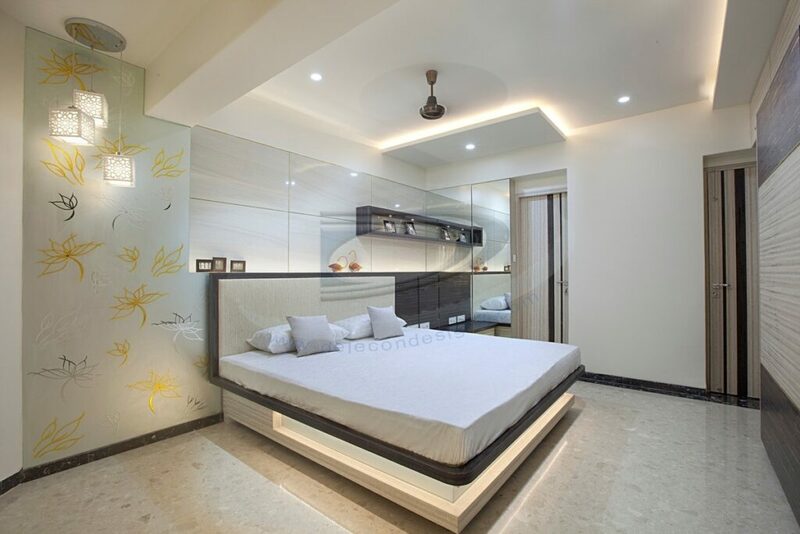 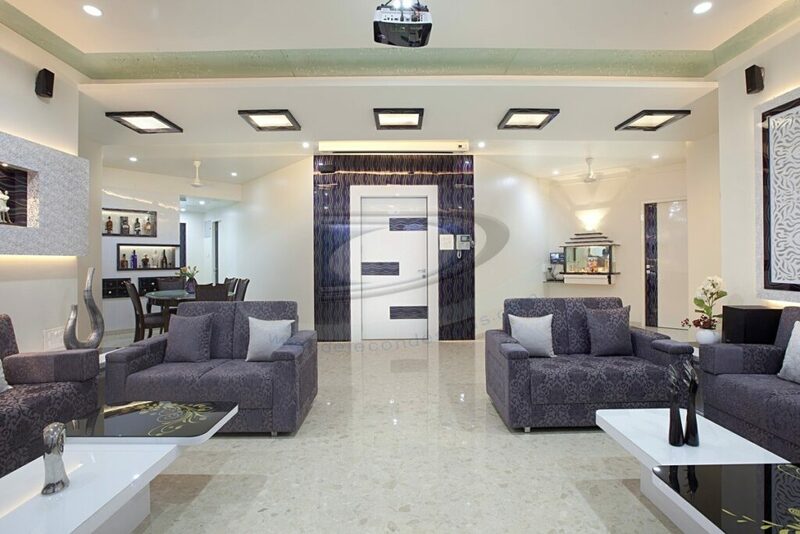 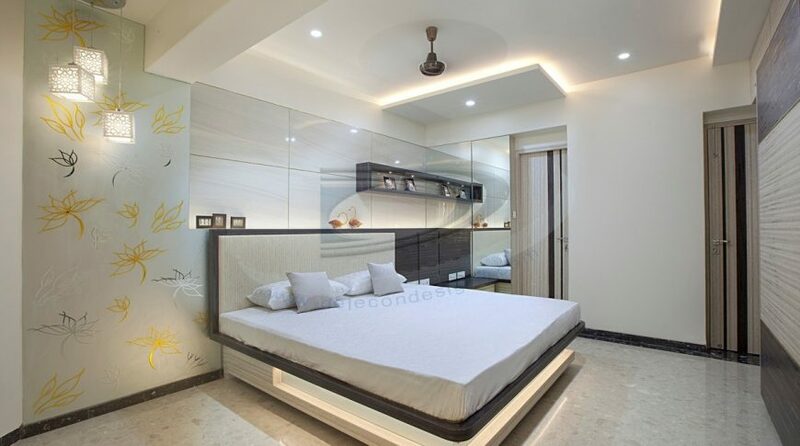 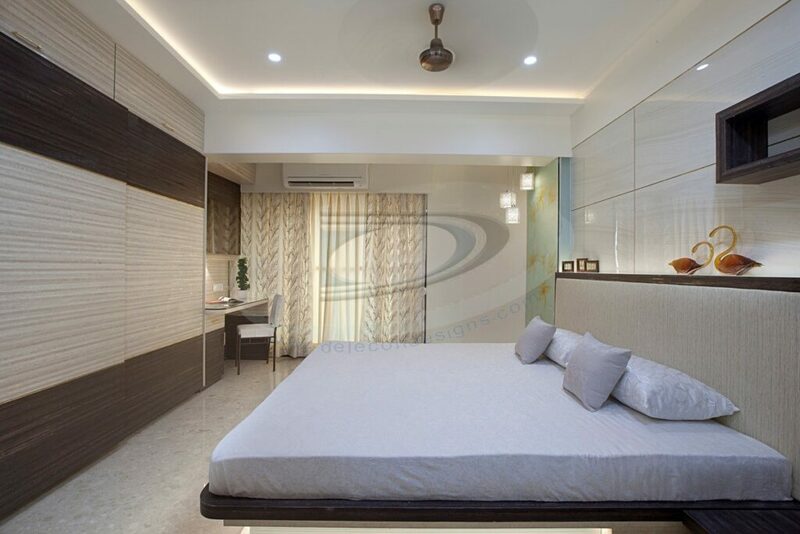 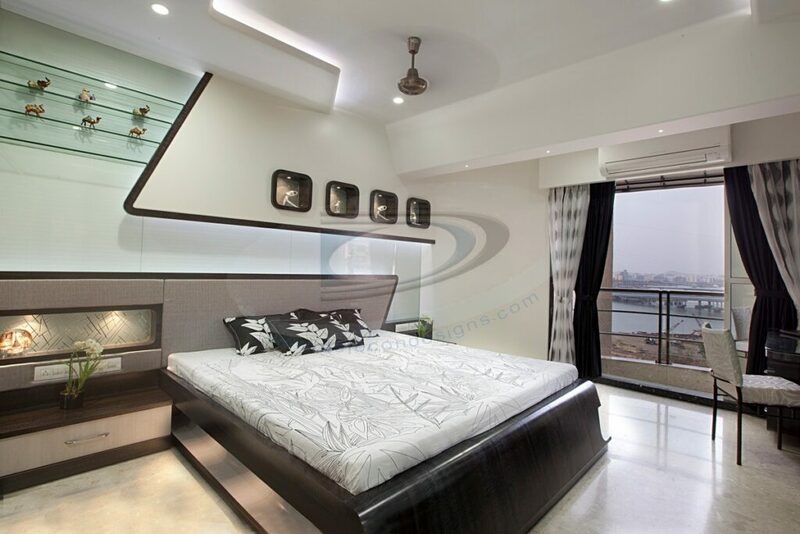 Mr. Rana is from one of Royal family from Rajasthan & decided to buy best sea facing apartment with proper full time air ventilation in suitable budget. 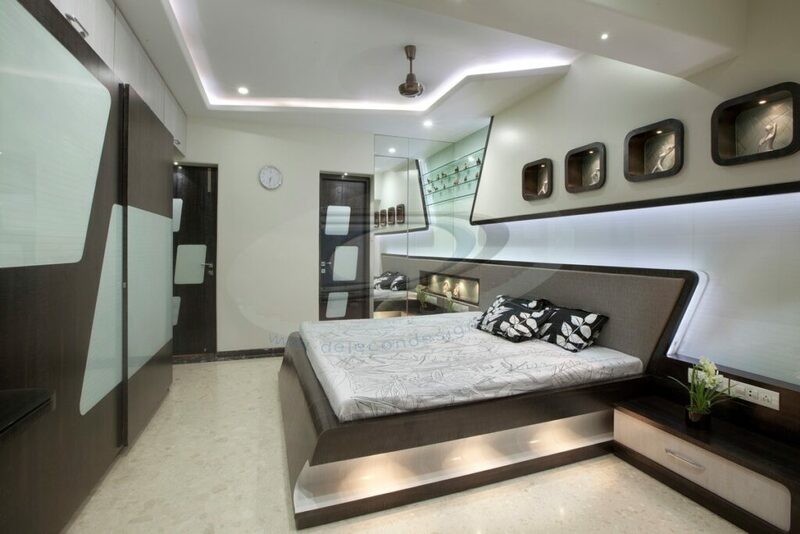 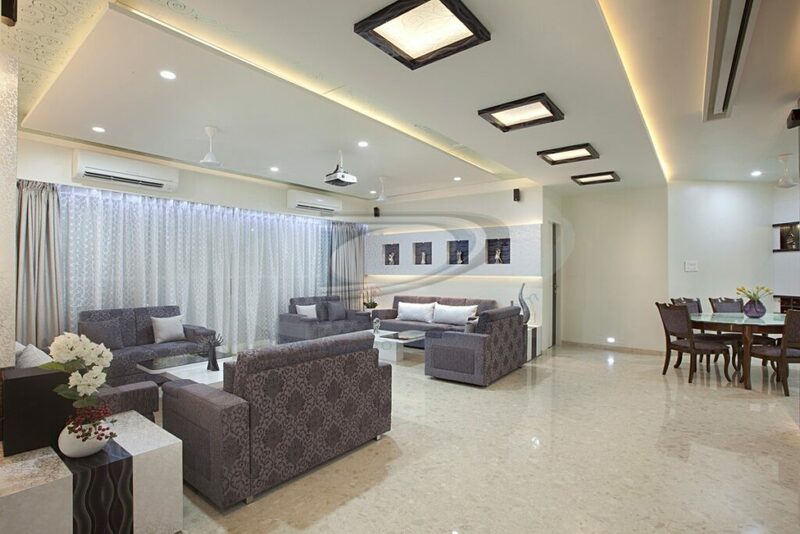 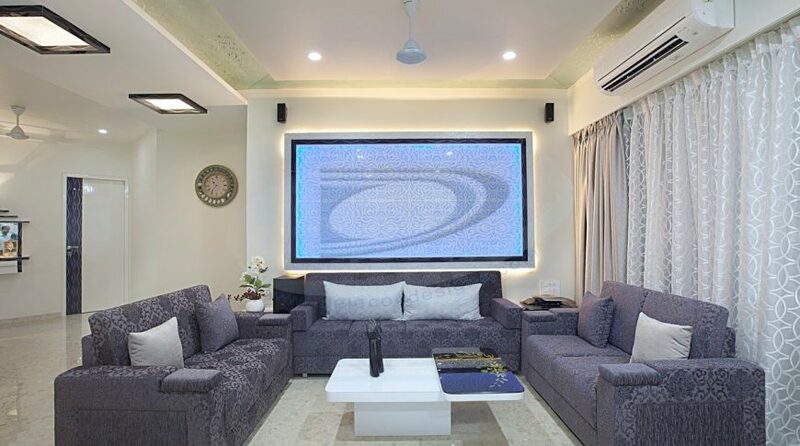 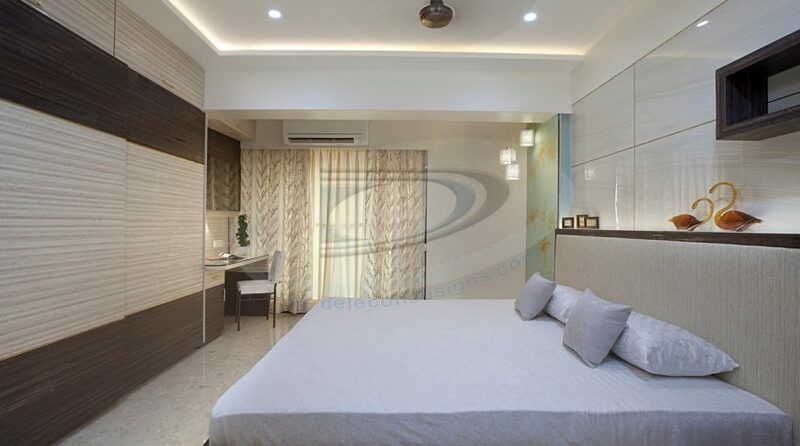 As he shared this when we get appointment to design his big 4 BHK house, Mrs. Reena Rana (spouse of Mr. S. J. Rana) was very much excited to see all details that we designed for her dream home actual on site. 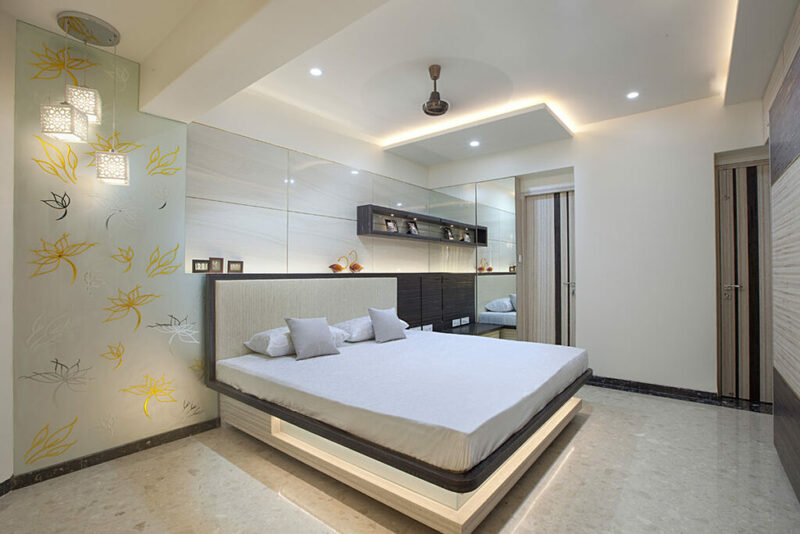 This project was on big scale design so it took more than 8 months to come in its final form. We added lot of areas of balconies in all bedrooms. 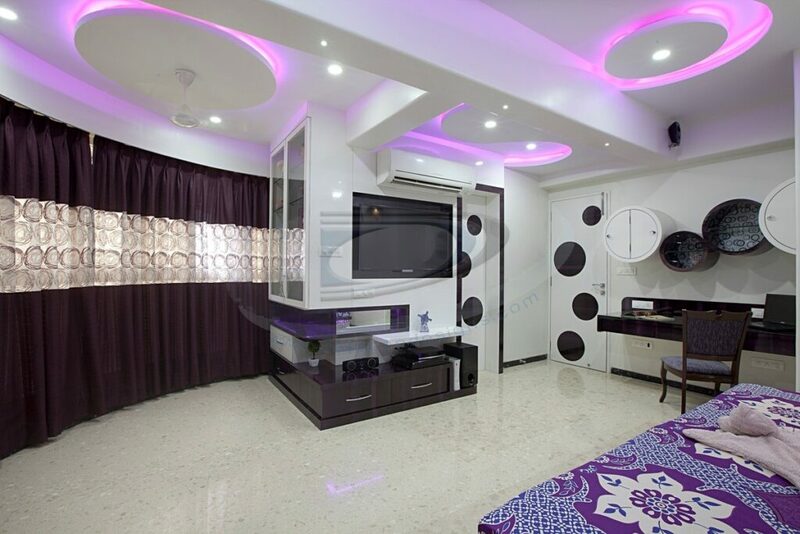 So, civil work scope is more for this residence. 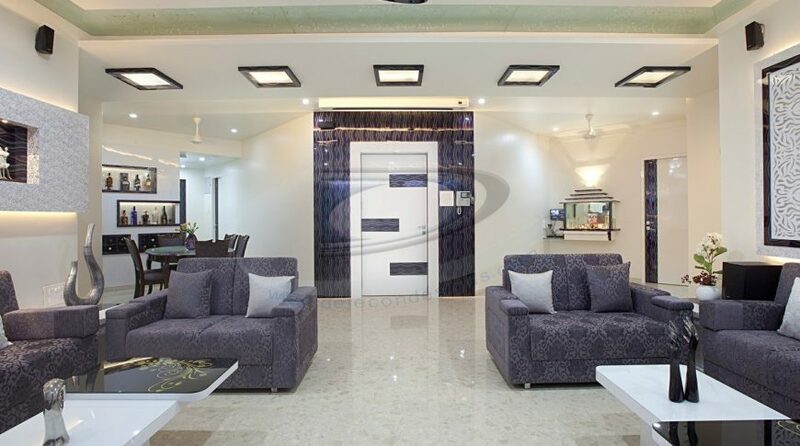 Final expenses for this residence is 53 lacks with overall package were came in expenditure. 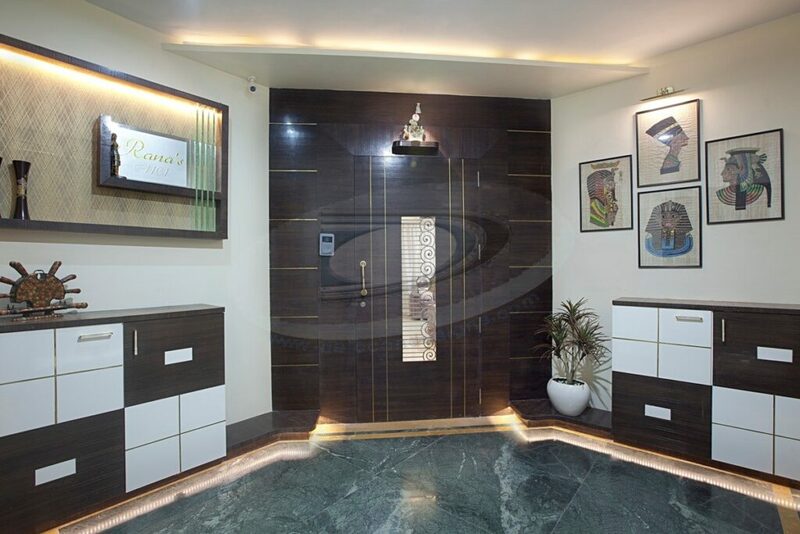 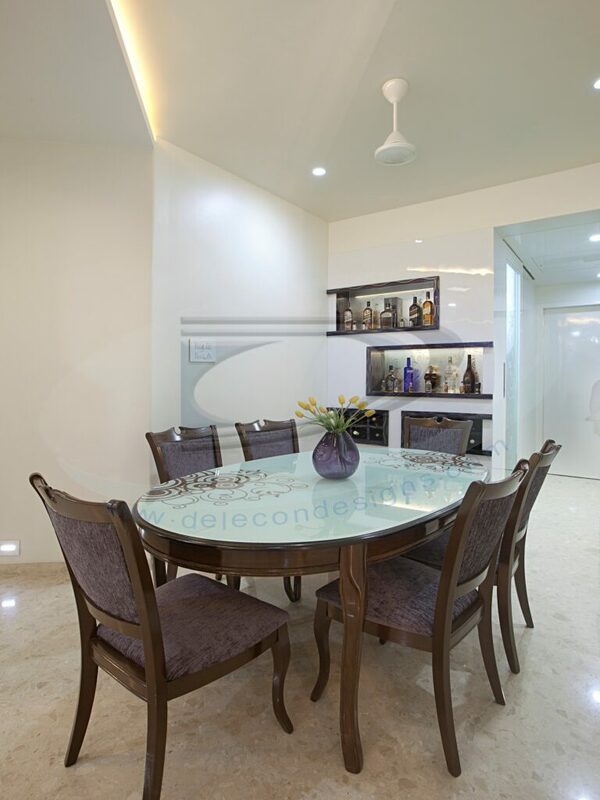 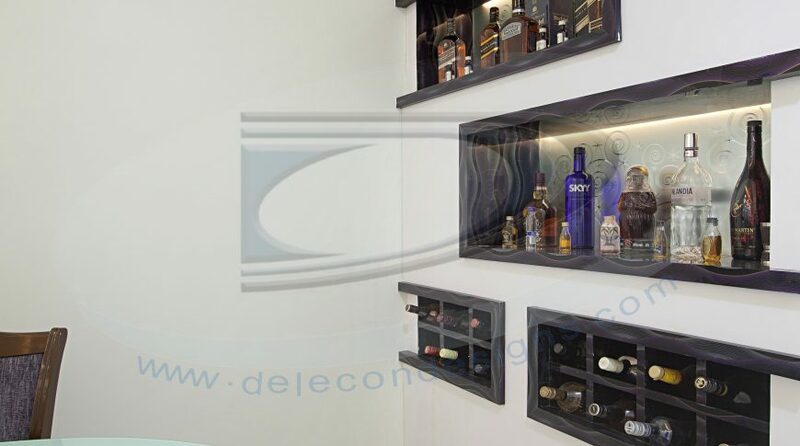 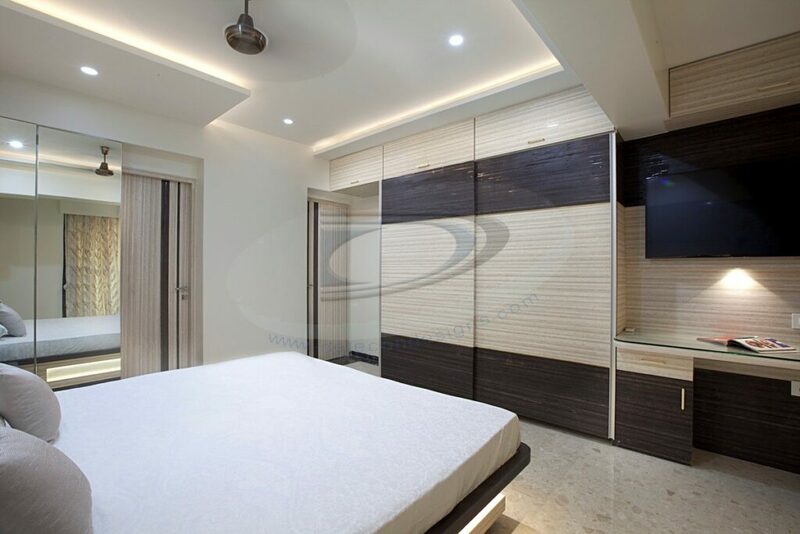 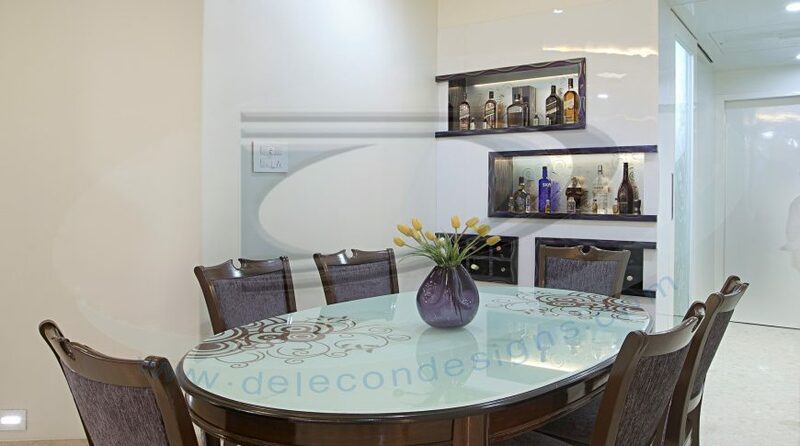 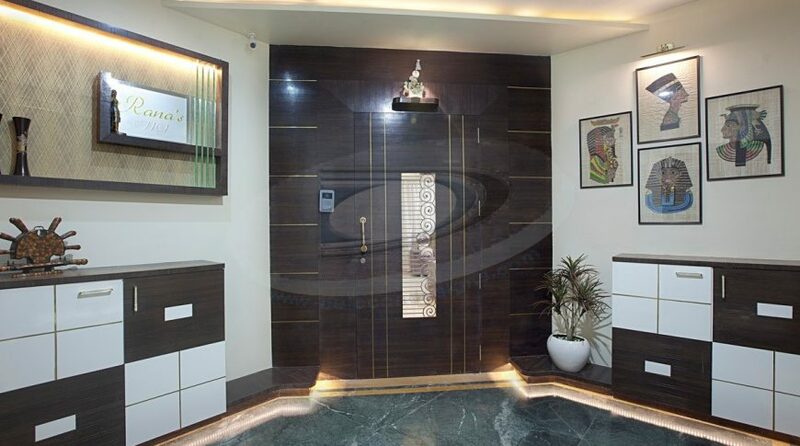 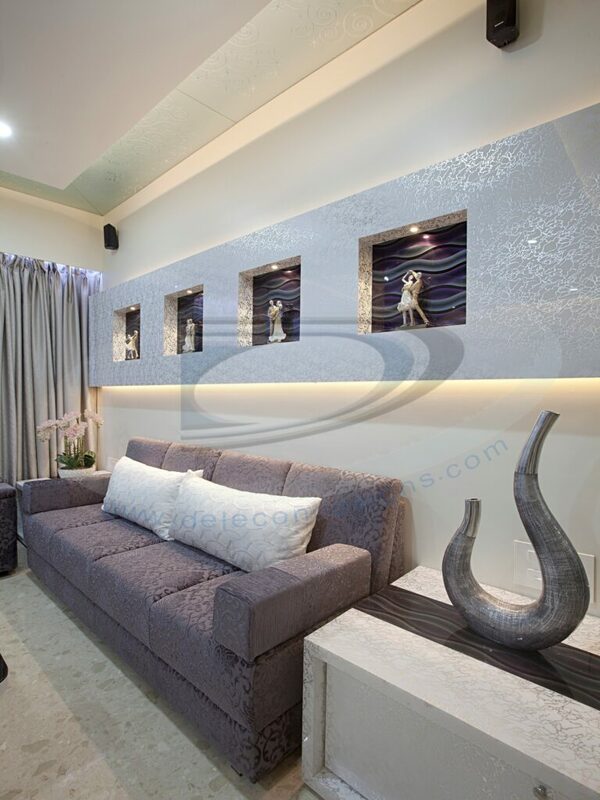 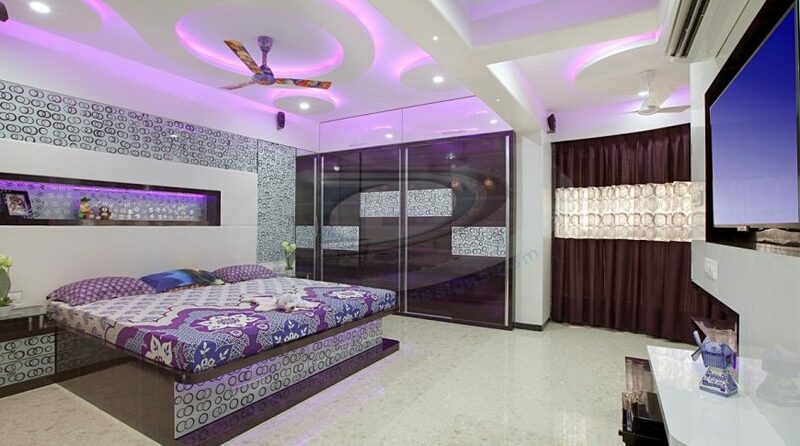 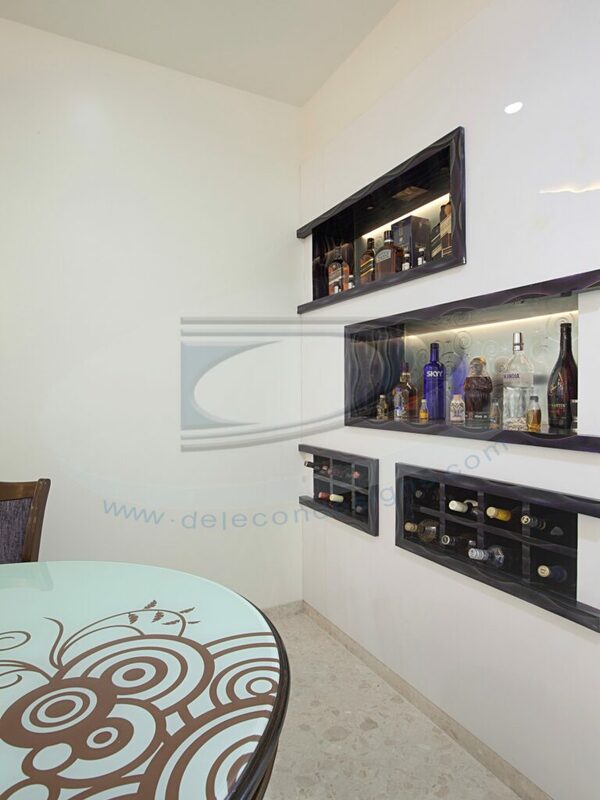 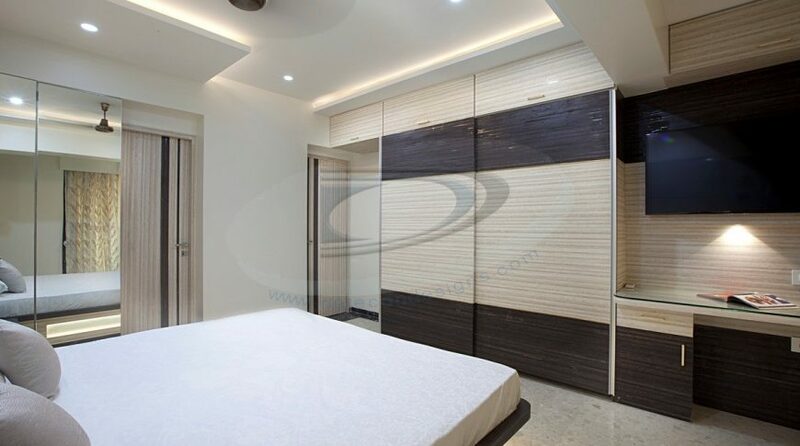 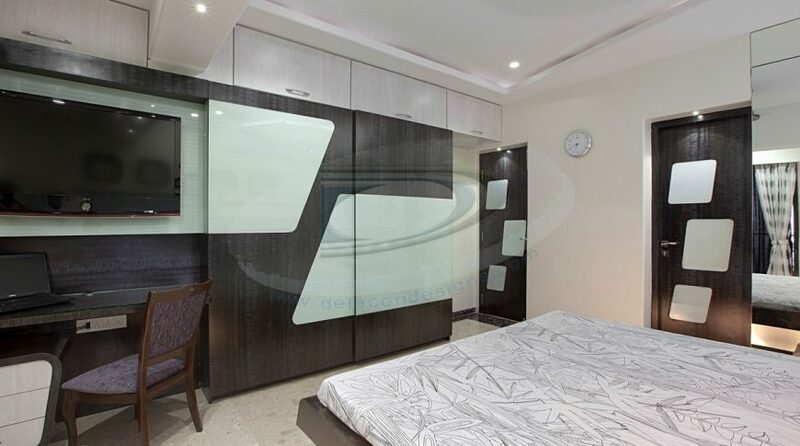 We selected all good design laminates & crystal designed mirror to highlight this portfolio. 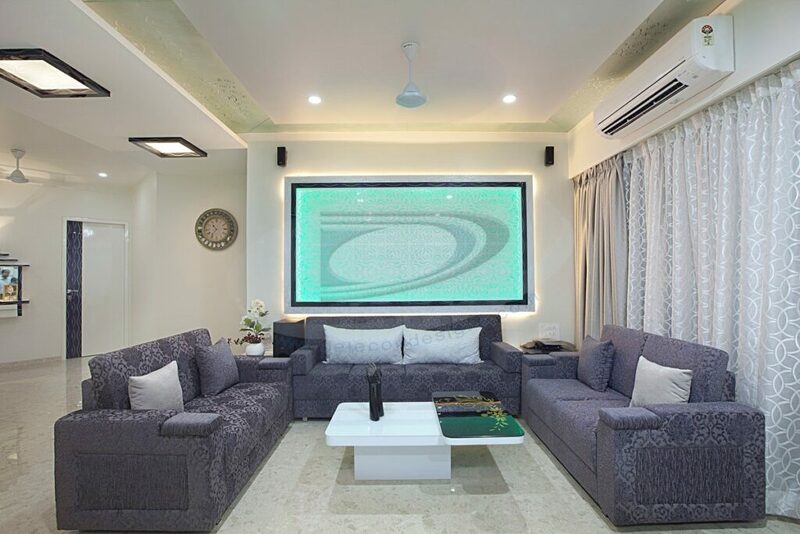 At later, once our design is over & we hand over the keys to our client they arranged a cheerful get together with us at their dream home.